One of the integral members of the Dinsmore Team is Pam Wright, an experienced Mortgage Consultant who recently moved to OnQ Financial. In addition to being a member of the wholesale mlb jerseys Dinsmore Team, Pam is also my friend. I wanted wholesale nfl jerseys to share an article she has written explaining Team Silas, and why it is so important to her. I will be there, running beside her. Solution Sports I hope you will join us. When my grandson Silas was wholesale nba jerseys diagnosed with Epilepsy a few years cheap nfl jerseys ago, our entire family was devastated. Must Instead of feeling sorry for ourselves, we decided to research the disorder and soon realized that a significant number of people suffer from epilepsy. In fact, the CDC estimates that around 2.3 million adults and almost 500,000 Furniture children under the age Tank86 of 17 years have epilepsy. Epilepsy, sometimes referred to as seizure disorder, is a general term that refers to a tendency to have recurrent seizures. A seizure is a temporary disturbance in brain function in which groups of nerve cells in the brain signal abnormally and excessively. Seizures may produce changes in awareness or sensation, involuntary movements, or other changes in behavior. Usually, a seizure lasts from a few seconds to a few minutes. While some Vasco causes for this condition can be identified, in nearly two-thirds of the cases a specific underlying cause cannot be identified. While we continue to work to control Silas’ disorder, we found a great way to make a difference. We found The Magnolia Run. The Magnolia Run is the Epilepsy Foundation of Forsyth Georgia’s (EFGA) longest running event, and is now in its 29th year. The 2012 Run was its most successful wholesale mlb jerseys one to date, raising over $102,000 and attracting nearly 1,500 TV participants. Funds raised by the event go to support the critical programs and services offered by the EFGA. Last year we founded our own running team, “Team Silas”. We run to make a difference not only in our grandson’s life, but cheap jerseys also the lives Seller’s of others afflicted with this disorder. We run to show our Jerseys support. We run, hoping somehow that they will find a cure or a new medication that will help control the symptoms. We run because we don’t know what else to do. We would love for you to join Team Silas on Saturday, August 24th, for the 5k 2013 Magnolia cheap nba jerseys Run. If you don’t run, you can always walk to show your support. wholesale nba jerseys Registration for the event will be at 6:40am at Reject Perimeter Mall, and wholesale nfl jerseys the cost to preregister is only $25. You can find more details here. Whatever is close to your heart, pick a run event, and run cheap jerseys Love to make a difference. If you don’t, who will? Before putting your house on the market, there are some important steps you must take to get the most from your Replica investment and to protect your interests. Step One: Get pre-approved to buy another house before you sign a contract to sell your own home. If your financial situation changed since your last purchase, it’s possible that you may no longer qualify for another loan. You may also be unable to wholesale jerseys sell your house for a price that will allow you to buy another house you want. This way, you won’t end up renting or buying a house you don’t really want. When applying for a pre-approval, be In sure the lender discloses the estimated costs required for you to purchase a new home, such as: the loan price, down payment, new insurance, title and inspections fees. Step Two: Call your lender to check the mortgage pay off and calculate the estimated proceeds. First, you will need wholesale jerseys to subtract the mortgage pay off from the fair market value of your home. Second, you will need to subtract the costs to sell your home from the remainder in order to get an idea of the proceeds you can expect to Top be paid at closing. Step Three: Determine your home’s fair market value. Most real estate agents will gladly help you determine the market value and may also give you helpful hints in an effort to increase the value of your house. You may also consider hiring a licensed appraiser, which you will have to pay for out of pocket, to perform an cheap nba jerseys appraisal on the subject property. Professional appraisers will provide you with a detailed report that will usually include: the neighboring property values in comparison to your own, an evaluation of the real estate market in your area, harmful issues to the property’s value wholesale mlb jerseys and any defective qualities. Step Four: Estimate what it will cost you to sell your house. If you are using a real estate agent, you may have to pay their commission. If you are planning to sell by owner, then you must consider the advertising, signs, a attorney fees, closing agents and other possible fees involved. These other fees may include: appraisal, inspections, surveys, taxes and home owner association fees. If you YET? ?T?RME go with an agent, they can provide a more precise estimate of the closing costs and any other fees that may be involved as they deal with these Kartenhalter transactions every day. Step Five: Make all necessary repairs. Whether these repairs can be done by you or Christmas by hiring a contractor, they should be completed. If there are cheap nfl jerseys too many repairs that need to be done, your home will be considered a fixer upper. You want to get Как the most out of your house and dissuade potential buyers from submitting insultingly low offers. These repairs can range from fixing a broken window, adding a fresh coat of paint, replacing or repairing the flooring, to spackling a hole in the wall. The larger repairs may include fixing a damaged roof or repairing damaged siding. Other issues that can deter a potential buyer is mold and mildew stains and odors, leaky basements, lead based paint, broken gutters, cheap nfl jerseys location or type of circuit breaker, plumbing problems and old or faulty electrical wiring. Step Six: Before you cheap nba jerseys show your house, do some serious spring cleaning and decluttering. You want to make everything as spotless as possible and remove any offensive odors. You may also need to work on the exterior part of the house by scraping and painting porches and windows or maintaining – an cheap mlb jerseys appealing lawn. You can also add low maintenance decorative flowering plants and shrubs to dress up your yard. Remember wholesale jerseys that you need to present your home in a clean and appealing Youth way to wholesale mlb jerseys potential buyers. As the second half of 2013 begins, it is apparent that the national luxury market continues to lead the residential real estate recovery. Today’s luxury market trends point toward a solid recovery in the high-end with strong hints in many areas of a coming “sellers’ market” (when demand exceeds supply). Much as the Case-Schiller Composite Index and other national indices use a bundle of data from markets around the country, so does the Institute for Luxury Home Marketing Report. The high-end homebuyer has stepped back into the market and is shopping and purchasing in increasing numbers, often with all cash. According to the report, today’s high-end home buyer is looking for future profitability, often wants a slightly smaller home than in the past, and is seeking uniqueness and artisanship. 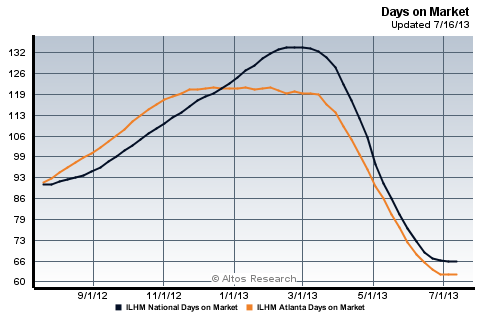 Trends in Atlanta indicate that the median list price of luxury home currently on the market is rising significantly (see the chart below). 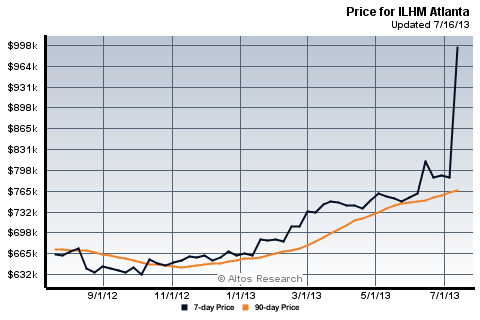 The black line shows the weekly trend, the yellow line is a 90-day moving average which shows the rising list price trend more clearly. 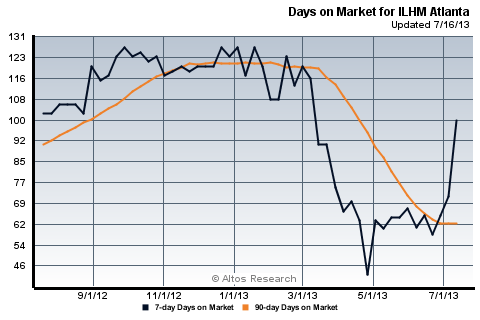 Looking at the quarterly days-on-market trend line, it’s apparent that during the past year, the County age of the listed inventory peaked in the first quarter, and then dropped to about 62 wholesale NBA jerseys days on market for the average age of listings as of wholesale jerseys July 1. Luxury inventory levels bottom out this month: As Miami Dolphins Jerseys prices have inched rodziców up, sellers are seeing wholesale NFL jerseys their equity increase cheap jerseys and are putting homes on the market. 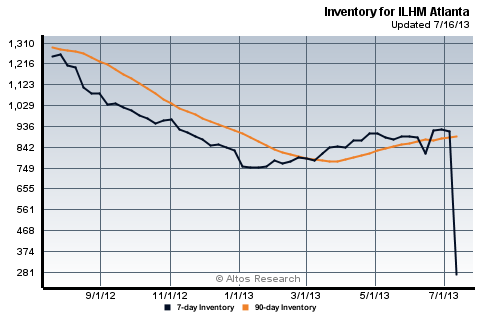 Inventory is extremely low at this point, compared to September of highlights last year. If you were still waiting to sell, this Best de wholesale NFL jerseys might be the best time while Planning inventory levels are so cheap MLB jerseys McCoy low. The Dinsmore Team has the experience, and the most effective cheap jerseys channels to market your home, returning Football the highest sale price for your investment. I wholesale nfl jerseys am cheap jerseys China so cheap jerseys excited Mama, to Held share Those the news that FrontDoor Communities is planning a new community of 400 homes in South Forsyth County! FrontDoor Communities purchased 158 acres, price undisclosed, between Highway 9 and Majors Road. The first phase of the community could break ground as early as this September, and is planned to be completed in five or six years. The homes will range from $300,000 to $500,000. Below is the Press Release someone directly from FrontDoor on the endeavor. You can also read more in the Atlanta Business Chronicle. 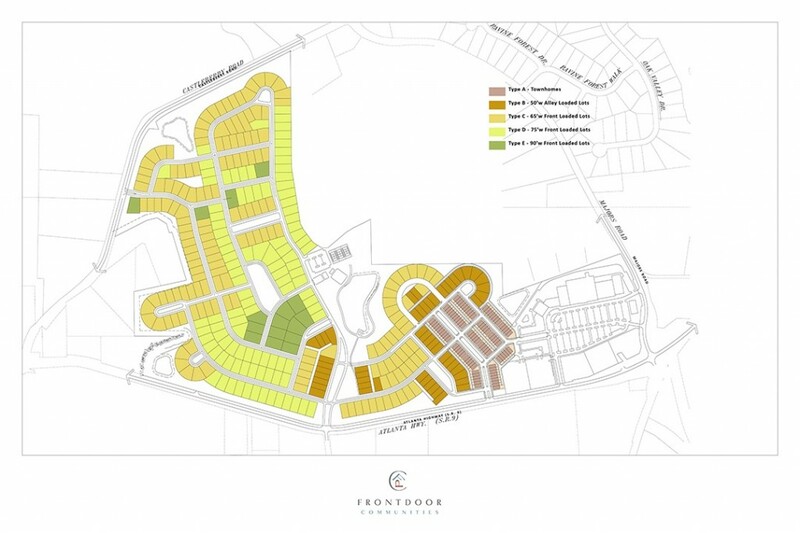 FrontDoor Communities has closed on Youth 158 acres in south Forsyth County, with plans to develop its first Georgia project: a community known as Traditions with more than 400 homes. The transaction marks the largest residential community land acquisition in metro Atlanta in seven years — a sign both of the improving residential market and of FrontDoor’s commitment to Traditions. Amenities at Traditions will include a pool, tennis courts, 12 parks and a clubhouse overlooking a lake. Located cheap nfl jerseys 1.7 miles from Ga. 400, Traditions will appeal to the many professionals who wholesale nfl jerseys work along Ga. 400 and in the Perimeter area. Residents will have access to award-winning schools, cheap jerseys including West Forsyth High, as well as outdoor recreation sites such as Fowler Park and the Big Creek Greenway walking, running cheap mlb jerseys and biking trail. An adjacent parcel will be developed into a 184,00 square-foot neighborhood shopping center anchored by a grocery store.